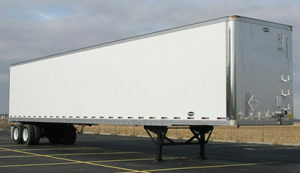 Anjer Inc offers a wide range of used trailers to buy or lease. We have a constant rotating inventory of many different types of used trailers. Dry freight, refrigerated and flatbed are just some of the styles that Anjer Inc showcases. If for some reason we do not have a certain trailer in stock, we will make every effort to find the requested unit. Some of the areas we sell used trailers in are: Bucks, Montgomery, Chester, Philadelphia, Mercer, Lehigh, Northampton, Delaware, Ocean, Atlantic, Cumberland, Camden, Burlington, Salem, Cape May, Gloucester, Monmouth, Kent and Sussex Counties in, NJ, PA and DE! Most of the used trailers available to buy are first ran through Anjer Inc’s first-rate shop to have any necessary repairs made to the equipment. Unless it is specified differently, all used trailers come fully DOT inspected before they are released to the customer. Whether it is a simple light repair or a more complicated task, the trailer must pass the final inspection before it can be released. In addition to the inspection, almost all trailers have the wheels, landing gear and rear sill painted prior to delivery. Anjer Inc tries to have the used trailers looking as sharp as possible for the customer. Having a wide variety of used trailers for customers to buy enables us to offer many different options. 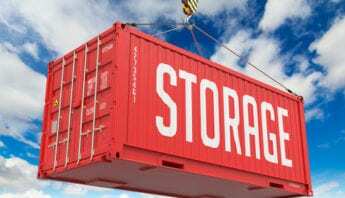 We try to keep a running stock of both overhead and swing doors trailers, spring and air ride trailers and aluminum or translucent roof trailers for example. We also attempt to have many different sizes in stock ranging from small 28’ pup trailers to large 53’ trailers. Our service dept allows us to add options to the trailers if necessary whether it be E-track or used liftgates for example. Customers can always view any trailer in stock prior to purchase. However, not all the used trailers Anjer Inc sells are in stock at our facilities. Since Anjer Inc is connected to a wide dealer network, we can find trailers from other resources. In these instances, we can easily forward pictures of the unit for the customer to view. Anjer Inc wants to make sure the customer is completely satisfied with their purchase.